Architecture reflects the time and well being of a countries state. 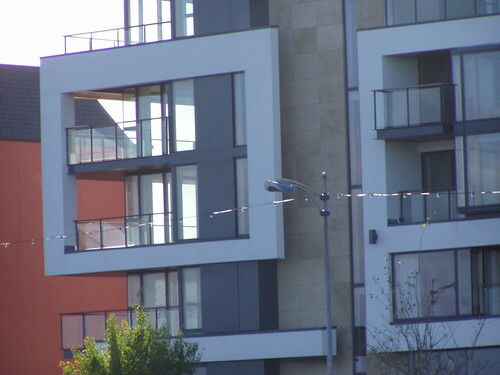 For centuries Ireland was dominated by the architecture of other nations during the 20th this began to change. Todays watch words restore, rejuve, renew three r’s that can be applied to Wexfords new face. 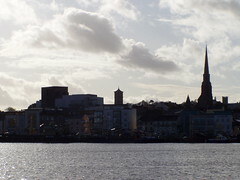 For centuries St Peters College & three churches dominated the skyline. 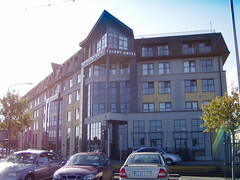 In recent years new buildings have risen to compliment their surroundings or express the significance of their location. 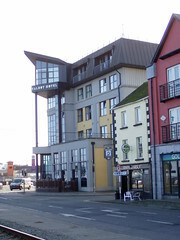 Buildings built for an Irish setting, the sea, the esturary, seafaring traditions, the undulating landscape, her sense of humour. 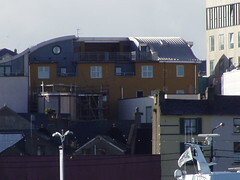 Buildings built for their purpose sympathetic to the natural & traditional materials around them. 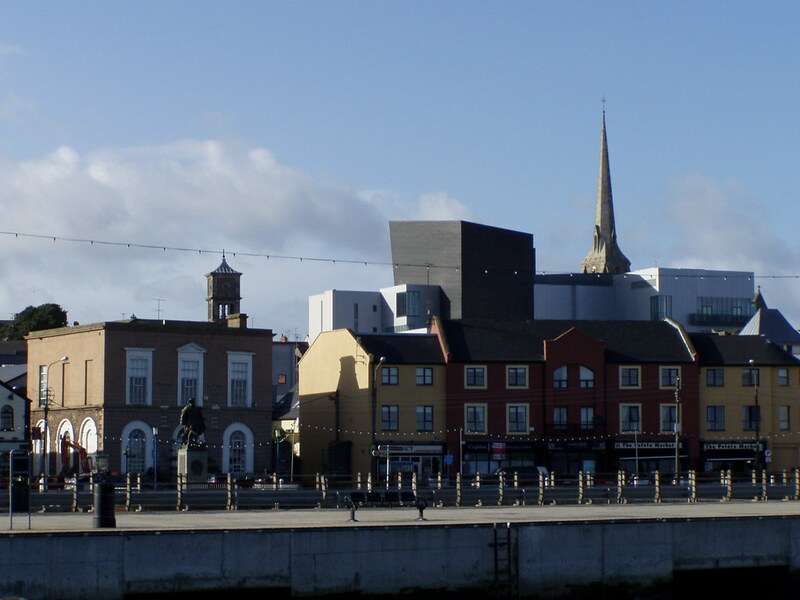 The new opera house has taken dominion of the Wexford skyline from the ‘Twin Churches. Built for it’s purpose it’s ‘set’ tower reaching into the sky. The front entrance a facade of traditional terraced houses. 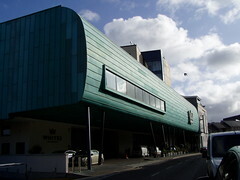 Whites main entrance is below a large levitating lozenge. 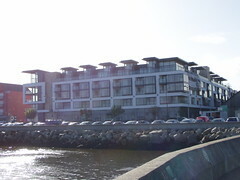 From the back which unfortunately looks out upon the sea & Wexfords gateway, the ‘Wexford bridge’ resembles a set of cheap rectangular prefabs by day the glass stairwell along side, most visible by night. 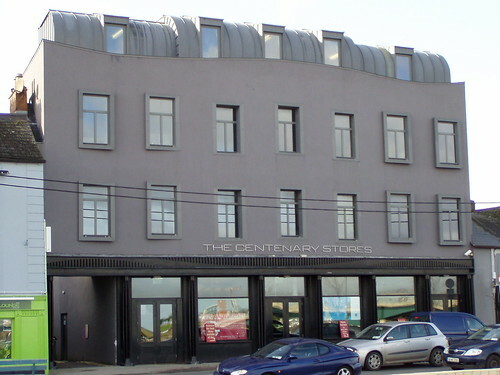 Centenary Stores, the original rickety buildings replaced by a modern ‘state of the art’ nite club that reflects the original buildings eccentricity. 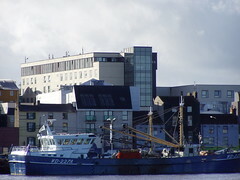 The Talbot proudly bows to Wexfords seafaring traditions. Of course these are the tip of the ice berg.